One of my favorite pieces of jewelry. 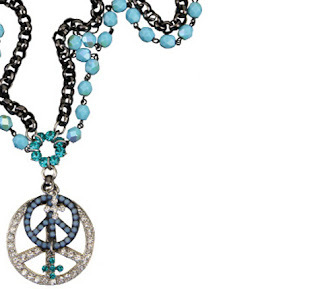 The ice blue peace sign is so pretty and I find that it really goes with so many things. I never thought I would be able to get so much wear out of this necklace! One of my favs!